Nintendo has a stable of tried and tested games. But those of you who wished Nintendo would do something new, listen up. 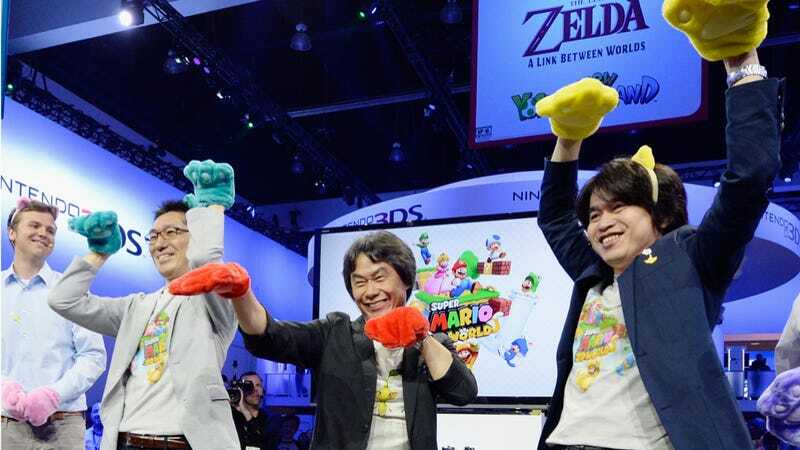 According to Mario creator Shigeru Miyamoto, Nintendo will. Famitsu: So, starting with Pikmin 3, you've got a lot of new Wii U titles planned up until the holiday season. Miyamoto: With the recent version upgrade [of the Wii U], we've worked on the system side of things and we're planning on further system tweaks ahead, but even as is, [the Wii U] has become a useful item for the living room. However, it's pointless to talk about other features, no matter how fulfilling, without releasing games of our own, so we hope you'll look forward to the games to come. Next Spring, with the release of Mario Kart 8, we'll have a general selection available, so I've been thinking it would be a good time to bring out a new franchise. Famitsu: A new franchise! An all-new title that you would be working on? Miyamoto: I can't say too much in detail right now, but I've been pretty busy with this title these days. "A lot of people say, 'Oh, you should make new characters and those would be fun games,' but creating a new character doesn't necessarily mean the game is going to be fun. You really need to be focusing on creating a new gameplay experience that's fun and unique." The ideal mix? Nintendo creates a new gameplay experience with new characters.